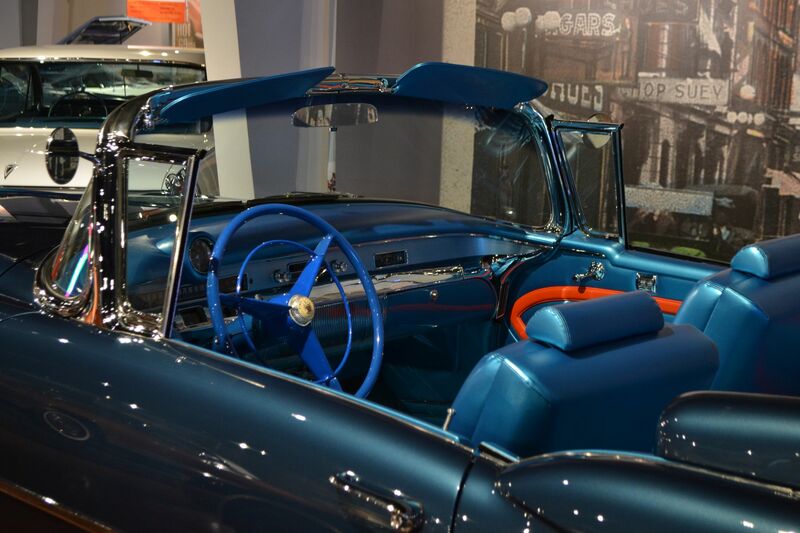 As the director of styling at General Motors (and later, upon Harley Earl’s retirement, vice president of its Styling Section), Bill Mitchell enjoyed a fair amount of latitude when creating custom cars, some for his personal use. Over his 42-year career at GM, Mitchell was responsible for more than 50 concepts and customs, including one personal-use Buick that might have been lost to history had it not been for the efforts of a volunteer group of craftsmen. 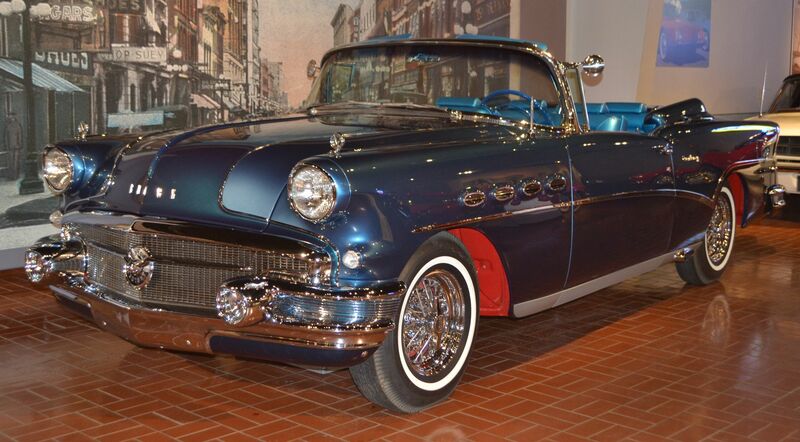 After a restoration that lasted 100 months, Mitchell’s 1956X Buick Century custom debuted at the Gilmore Museum in Hickory Corners, Michigan, and will appear at select events throughout 2019. 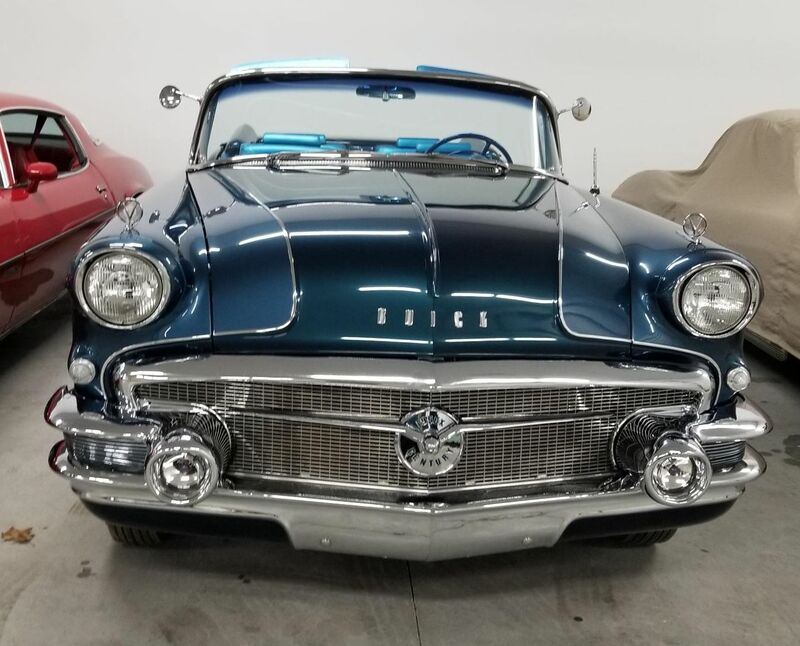 When we last wrote about the car, in June 2013, the 1956X Buick Century was mid-restoration, with the ongoing work being carried out in a Zeeland, Michigan, barn. Then, barn owner and team director Don Mayton, also the car’s owner, anticipated that the project would take another two-and-a-half years to complete, but restorations never happen on a precise timeline. In fact, it would be another three years beyond this projection before the finished Buick would roll out of Mayton’s barn, bound for display at the Gilmore. We caught up with restoration volunteer Chuck Snow, who was gracious enough to answer a few questions about the car, its restoration, and its future plans. Hemmings Motor News: How many volunteers contributed to the restoration? Chuck Snow: We had 16 key team members, including myself. We had specialists for paint and bodywork, fabrication, engine work, suspension work, research, electrical wiring, interior work, and other key tasks, but also had those who assisted with a multitude of tasks. HMN: Was any of the work farmed out, or was the entire restoration carried out by volunteers at the barn in Zeeland? CS: All the mechanical work and bodywork were done at the Zeeland barn. The engine was rebuilt by CD’s Engine Service in Hudsonville, paint by Ron Sall’s Body Shop near Zeeland, custom intake manifold by Jared Thompson, casting and machining by Devries Restoration, and upholstery by Brian Hunderman. HMN: Were you able to unearth any proof that the 1956X Buick Century was built specifically for Bill Mitchell’s private use, as has long been rumored? CS: Don talked with Larry Fallon and Larry confirmed that it was a Bill Mitchell car because of the special chrome gas pedal, brake pedal, and dimmer pedal, chrome footrests, custom floor grilles, red frame, and red under-body paint. Subsequently, when Larry came to visit Futurliner #10 during restoration, he found the original Styling Studio tag on the firewall with the Shop Order number. Larry had GM Archives look up information and found the original work order and several original photos of the car. He gave that information to Don. On the Shop Order it said the car was being built for Bill Mitchell. HMN: What engine was under the hood, and what special parts did it use? Did this pose an additional challenge during the restoration? CS: The engine that came with the car was a four-barrel 1956 Buick engine. The engine was changed during restoration to a four Carter YH side draft configuration because it was believed that Bill Mitchell had the side draft carbs in the car originally. HMN: Some parts were irreplaceable and had to be fabricated, like the unique intake manifold, the steering wheel, and the clear taillamp lenses. What was the most challenging part to reproduce, and how did you go about addressing the challenge? CS: The intake manifold was custom fabricated by a local expert who based it on the manifolds in the Buick Centurion and Buick Skylark on display at the Buick Gallery in Flint. The steering wheel has a covering of soft vinyl that was done by JB Donaldson in Arizona. The most challenging part was one of the ribbed trim pieces in the front bumper. We had only a right side and needed an opposite [left] side. Devries Restoration created that part from scratch and cast it in brass that was then chromed. The passenger’s-side trim was also missing and had to be machined from thick brass by Devries Restoration. They also reproduced the rocker panel trim and the exhaust outlets for the side exhaust. Phil Devries did machine work on rocker panel trim. Bill Nasberg supplied original Buick replacement parts. Craig Riker did chrome plating. HMN: From start to finish, how long did the Buick’s restoration take? CS: Restoration started in September 2010 and was completed in January 2019. Volunteers worked one day each week during winter but not in summer. HMN: Were you able to color match the original two-tone blue paint? What steps were taken to do so? CS: We were able to color match the original colors of both the exterior and interior. There are seven different shades of blue on the car, two on the exterior and five in the interior. The rear bumper, when disassembled, had an area of paint for both exterior colors that had been hidden from sunlight and thus had retained their original colors. These were used to match the exterior colors. HMN: How challenging was it to restore or duplicate the car’s interior? CS: Very challenging. We had the original upholstery panels on the doors and all interior surfaces with all trim intact. The original carpet, floor grilles, chrome pedals, padded dash, and custom steering wheel were with the car. The seats were a different story. 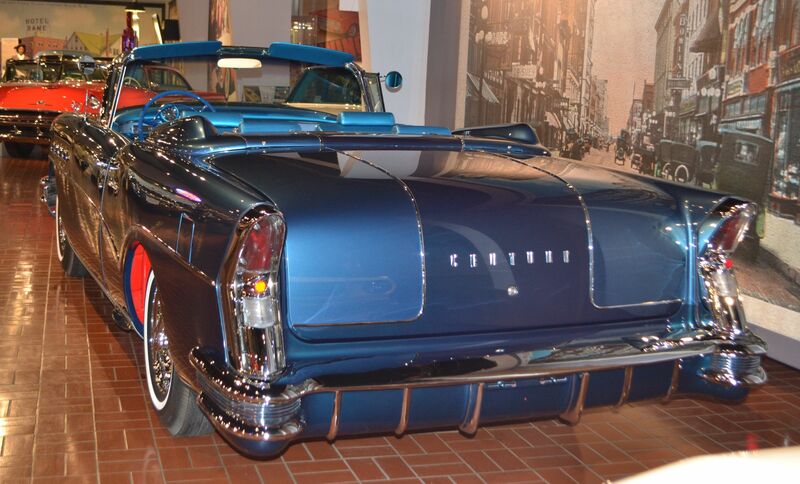 The four original buckets were removed and bench seats installed when Buick sold it off. We had to create the bucket seats and consoles from scratch. HMN: Now that the restoration is complete, what are the plans for the car? Will it remain on display at the Gilmore for the foreseeable future, or is this display temporary? Will it be entered in any upcoming shows? 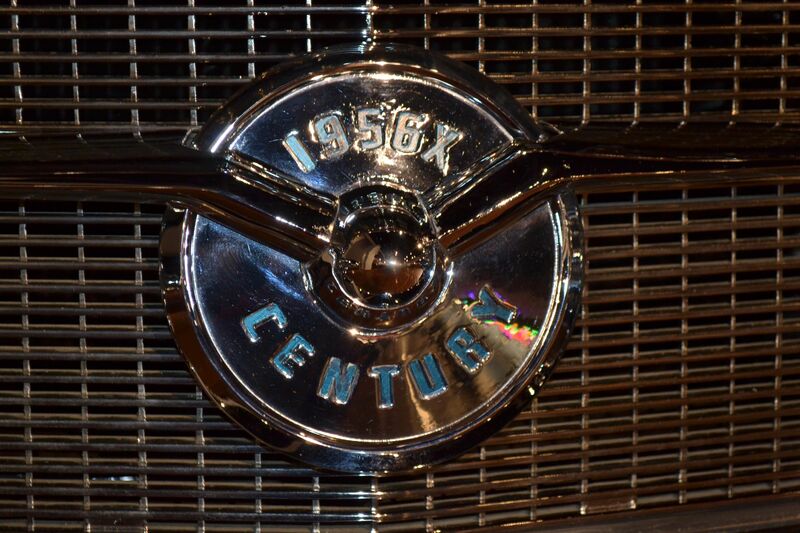 CS: The 1956X Buick will only be on display at Gilmore until April 15, 2019. It will be shown at various shows during 2019 and has been invited to GM EyesOn Design in July 2019. For more information on the Gilmore Museum, visit GilmoreCarMuseum.org.